A History of God (1993) traces the related histories of the Jewish, Christian and Muslim concepts of God. 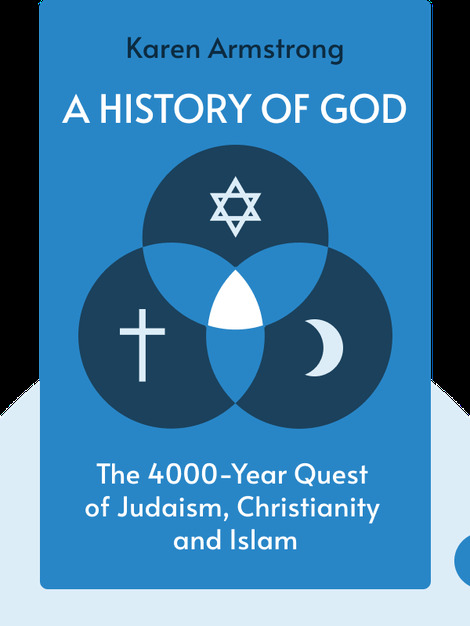 From the jealous God of the ancient Israelites to the revelations of Allah, and from the life of Jesus through to theological doctrinal discussions and God’s status in the modern world, these blinks tell the story of how conceptualizations of God in these three related religions have developed and changed over time. 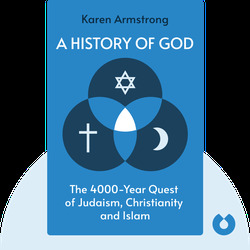 Karen Armstrong is a commentator and writer whose interests encompass all aspects of religion. She spent seven years as a nun in the Roman Catholic faith, obtained a B. Litt. at Oxford University and also taught literature at the University of London. She regularly writes reviews and articles for journals and newspapers. Her other books include The Battle for God, Islam: A Short History and Buddha.